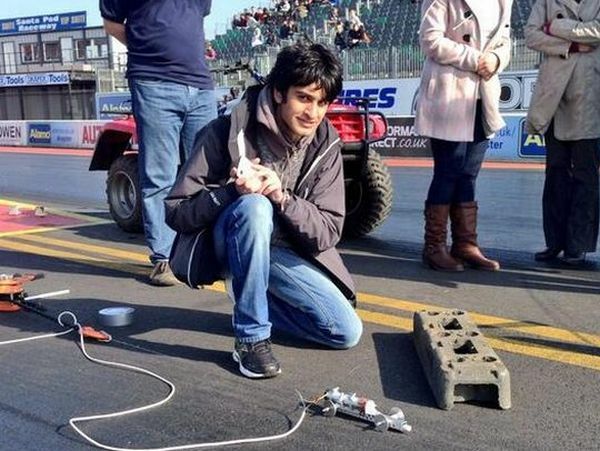 The SST-3B-Falcon model car, created at The Heathland School in Hounslow, UK, has broken the world record for model car land speeds by averaging 288mph, with a top speed of 344 mph in a single run! The car was designed by 18 year old Samvir Thandi, son of Jaswant Thandi, event and model rocket category coordinator for Bloodhound SSC. 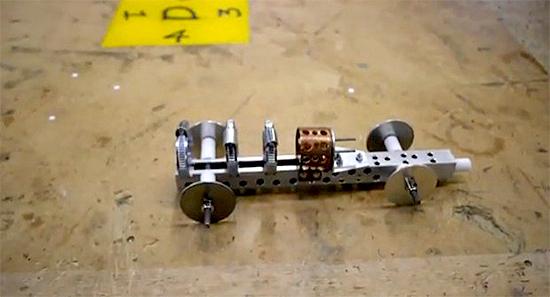 The project, designed to inspire young engineers across the nation, has been held at 30 schools across Great Britain. Six model rocket cars attempted to surpass the world record at a competition held at the Santa Pod Raceway in Northamptonshire. While four of the six vehicles exploded in the process, Thandi’s SST-3B-Falcon held its own to topple the record. Check it out in the video below!